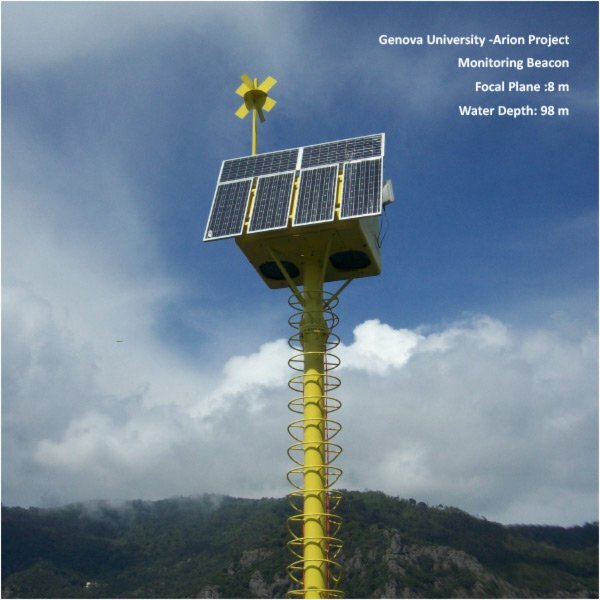 Categories: Aids to Navigations, Elastic beacons and monitoring, Monitoring and control floating. 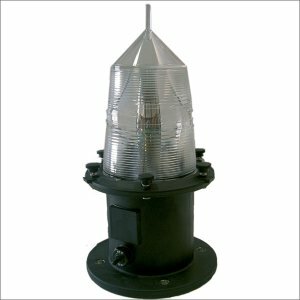 A many years of experience have proven the value of this type of marine signalling device. Accuracy in signalling the point to be marked. The Elastic Beacon is limited in its movements due to it’s particular structure. 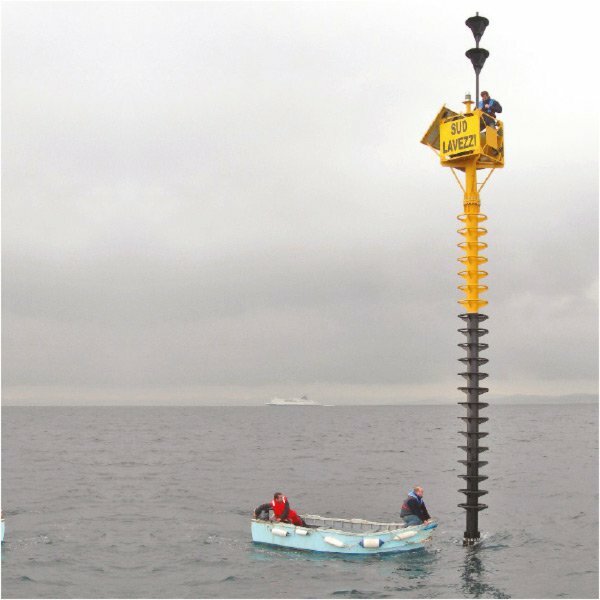 This ensures a remarkable accuracy in signalling the point to be marked when compared to the traditional chain or cable mooring system, calling for a length equal to twice or three times the water depth, which obviously leads to considerable displacements of the buoy in respect to the mooring point. 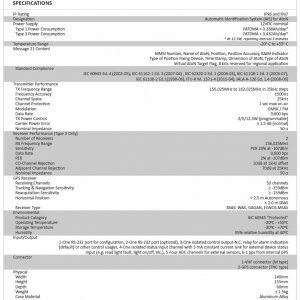 Height of the focal plane. 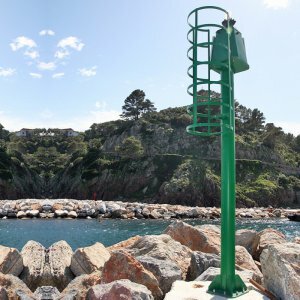 Thanks to its special configuration the Elastic Beacon offers the advantage of the marine lantern having the possibility to be positioned at a considerable height above the sea level. 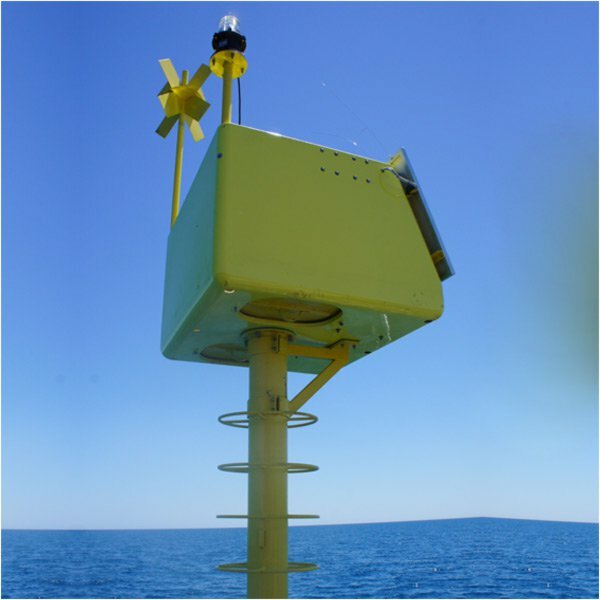 In normal buoys, the focal plane is much lower as the buoy usually has a very low metacentre. 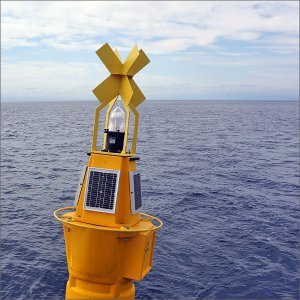 In very bad weather conditions, a light on an elastic beacon will always be visible between two waves, while a buoy stays invisible in a similar situation. 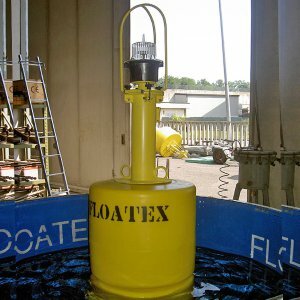 The Elastic Beacon shows characteristics of notable stability due to the vertical uplift ensured by the submerged float. 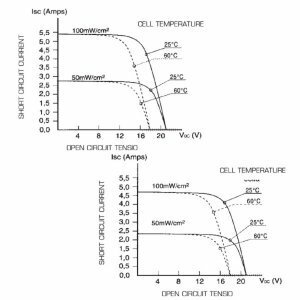 The stability also translates into an advantage for maintenance operations to the appliances as these are located on a platform plane easy to approach and which can be moved by the operator. 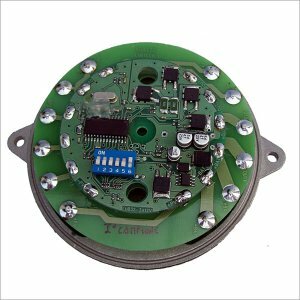 Compared to the traditional systems, the Elastic Beacon only needs reduced maintenance due to the absence of chain sections and relevant surfaces exposed to the action of the water-line. 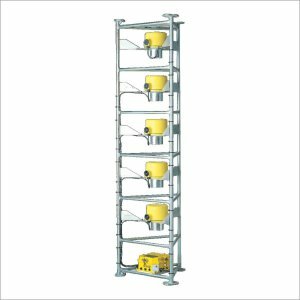 The Elastic Beacon proves to be the ultimate system for sounding physical or environmental parameters. 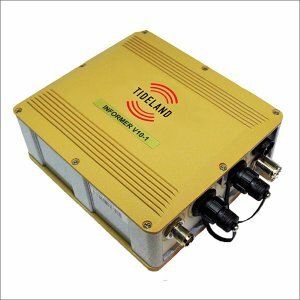 The great stability as well as the surfaces available on the platform plane, permit easy installation of instruments and wireless system for the transmission of data. 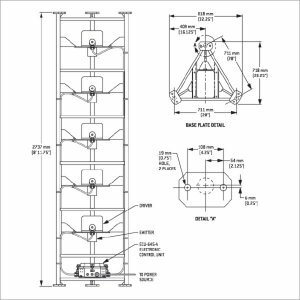 - Shot blasted and galvanized tubular steel structure. 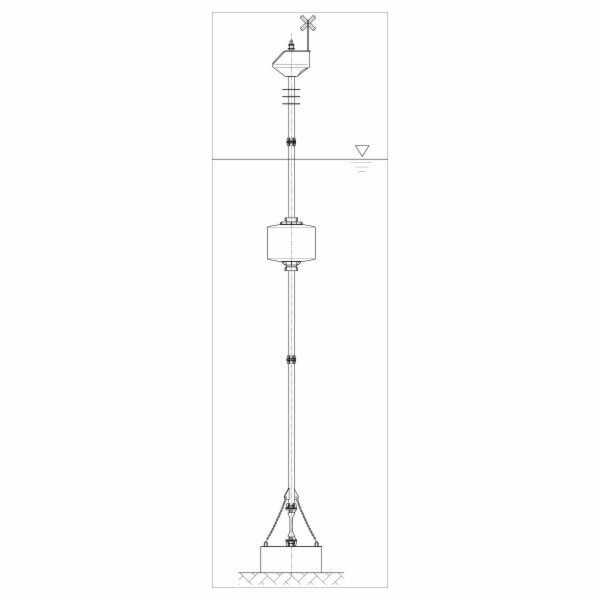 - Rotomoulded polyethylene full filled by polyurethane foam. 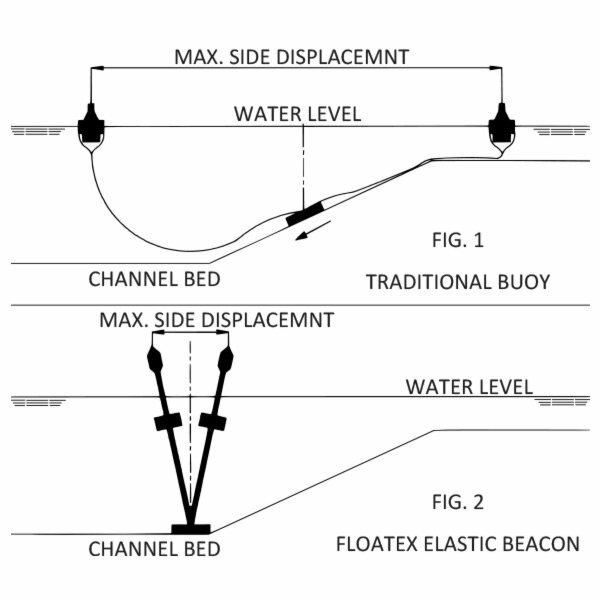 - Elastic joint for mooring to the sinker. 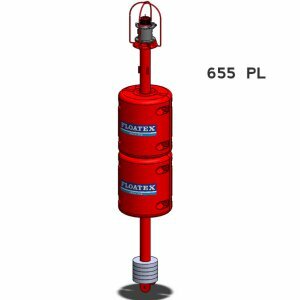 FLOATEX advises to use this structure for water depths from minimum 18 m to maximum 50 m, and keeps at customers’ disposal mathematic calculations of the dynamic behaviour of the beacon, guided by the necessary meteorological marine conditions previously supplied. This calculation program shows the maximum angle of heeling expected to occur under the worst conditions prevailing at site, the periods of oscillation and the minimum distance at which the top platform is found to be located in respect to the sea level. 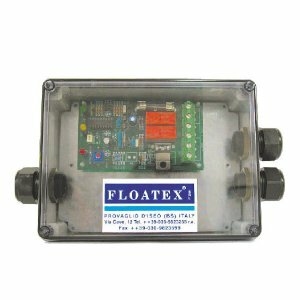 FLOATEX Elastic Beacon is the best navigation system for marking canals, dredged areas, harbour entrances, etc. 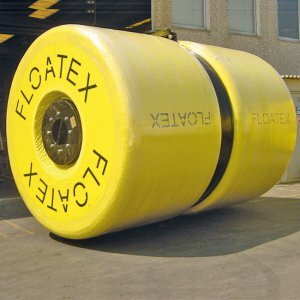 FLOATEX has patented the special system of mooring by elastic tubular rubber joint, which besides effecting a notable elasticity, ensures the absorption of any vibrations to which the system may be subjected, making it electrically insulated. 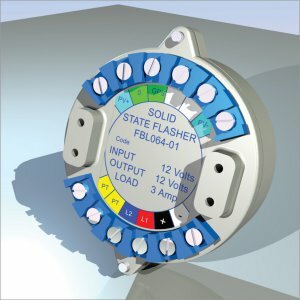 Elastic Beacons can be connected with main power as they don’t rotate. 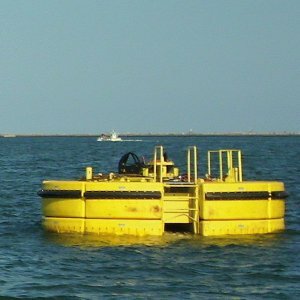 For major mooring guarantee, a steel cable connecting the tubular section to the sinker runs inside through this tube.